Should You Choose a Traditional or Roth IRA? With tax season just around the corner, it may be a good time to start thinking about your IRA contribution status. IRAs are a great way to supplement retirement savings plans that are offered through your employer, and the tax benefits are a great feature that you should optimize. Choosing between a Roth IRA and a traditional IRA can be confusing though, particularly because the rules for both are similar but definitely not the same. What Exactly Is A Roth IRA? IRAs (individual retirement accounts) first came on the scene in 1974. They were designed to allow individuals to save money for retirement on a tax-deferred basis. Until 1980 the maximum contribution was $1,500 per person, but that amount has been indexed over time. For the tax year 2017, the maximum IRA contribution is $5,500. IRAs permit anyone with earned income who is under the age of 70 ½ to make contributions to their account. Roth IRAs were established in 1997. Unlike their traditional IRA counterparts, Roth IRAs do not have age restrictions, making them appealing to older individuals who are still working or have earned income that they wish to invest for future retirement needs. While Roth IRAs have the same contribution limit in 2017 of $5,500, they carry different eligibility requirements in terms of income. Many people prefer the contribution and distribution flexibility that is part of a Roth IRA, and choose to convert existing traditional IRAs to Roth plans. If you are married and filing a joint return that is less than $186,000 for the tax year 2017, you can contribute up to $5,500 to a Roth IRA. If your joint return is over $196,000 you are not eligible for a Roth IRA. The limits for a single filer are earned income of $118,000 or below, go ahead. Earned income over $133,000 disqualifies you from contributing to a Roth IRA. It’s impossible to declare one plan better than the other. Each retirement savings tool has its pros and cons. However, Roth IRAs appear to offer more flexibility for contributions as well as withdrawals. Roth plans don’t require minimum required distributions (MRDs) so you can keep your money invested longer. Also, without the age restriction on contributions, Roth IRAs tend to favor retirees who have part-time employment or sources of earned income. Just like any part of the tax code, the rules and regulations surrounding any kind of IRA can get complicated. If you have questions about what type of IRA is best for your particular situation, contact Mooney Lyons today and set up an appointment to speak with one of our qualified professionals. We understand the nuances of saving for retirement, and can help you identify a strategy that will work best for you and your family… for today and tomorrow. Content in this material is for general information only and not intended to provide specific advice or recommendations for any individual. 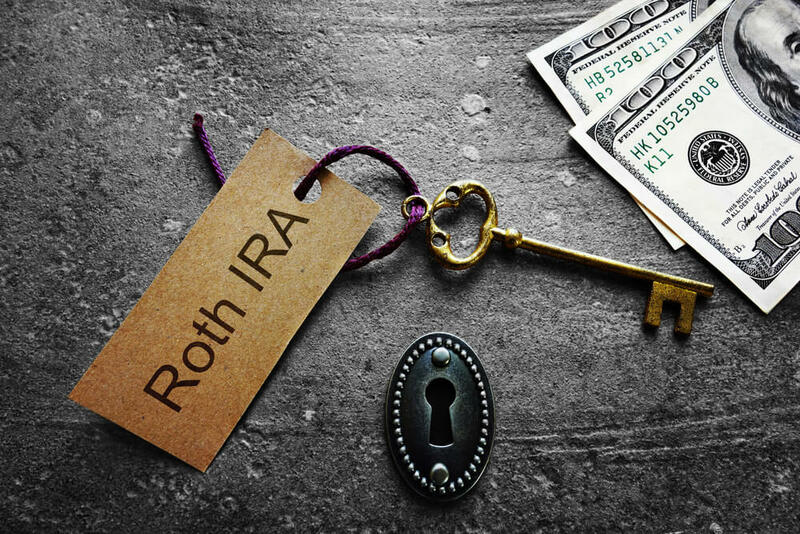 Traditional IRA account owners should consider the tax ramifications, age and income restrictions in regards to executing a conversion from a Traditional IRA to a Roth IRA. The converted amount is generally subject to income taxation.